Nick Margevicius made his major league debut against the San Francisco Giants on March 30. 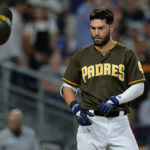 However, the bullpen gave up three runs in the sixth inning, sending the San Diego Padres to their first loss in 2019. The final score was 3-2. 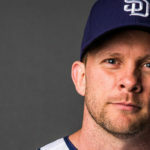 Margevicius, 22, is just one of a handful of Padres prospects to make his major league debut during the team’s opening weekend. 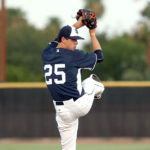 He went five-plus innings, allowing an earned run on three hits while striking out five. 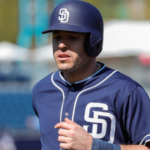 He left the game in the sixth inning with Yangervis Solarte on first base. He eventually scored, adding an earned run to Margevicius’s line. Margevicius appeared to show some jitters early, but managed to stay poised throughout. The first batter he faced was Steven Duggar. He put Duggar into an 0-2 count with two pitches, but two pitches later, he threw a high and inside fastball that just grazed Duggar’s nose. He managed to shake off that early mistake, retiring the next three hitters to get out of the inning. His first major league strikeout came in the first inning against Buster Posey. 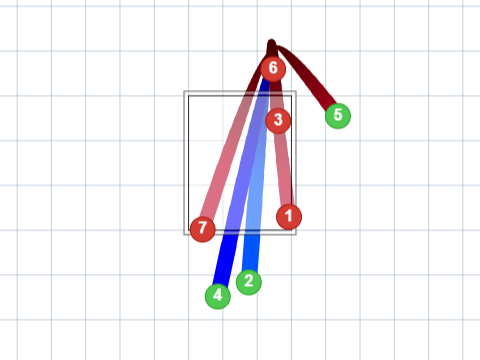 Margevicius threw an 89 mph four-seam fastball that hit the bottom of the zone. Posey struck out looking. 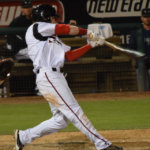 The formula for Margevicius’s success was staying low in the strike zone and hitting the corners. Rarely did he throw anything that crossed over the middle of the plate. Margevicius gave up a leadoff single to Duggar in the top of the sixth inning, and his day was finished. He was relieved by Robert Stock, who struggled with his command. He threw fastballs that landed far outside the strike zone. He threw a wild pitch that allowed Duggar to advance to second base. Stock gave up a double to Solarte that allowed Duggar to score. The next hitter was Evan Longoria, who hit a single to score Solarte. Stock was relieved by Robbie Erlin. Erlin gave up an RBI-single to Joe Panik. The earned run was charged to Stock. 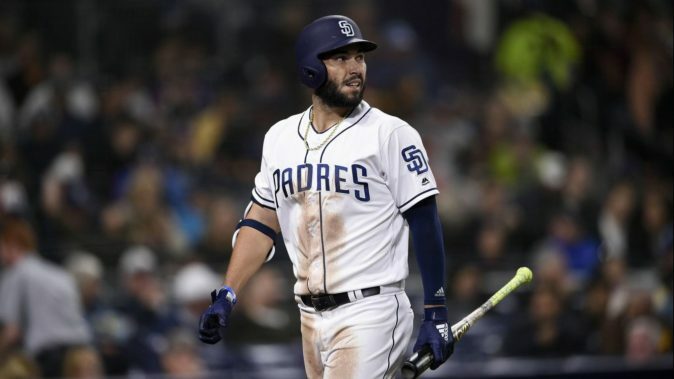 San Diego answered in the bottom of the sixth thanks to an RBI-double by Eric Hosmer. 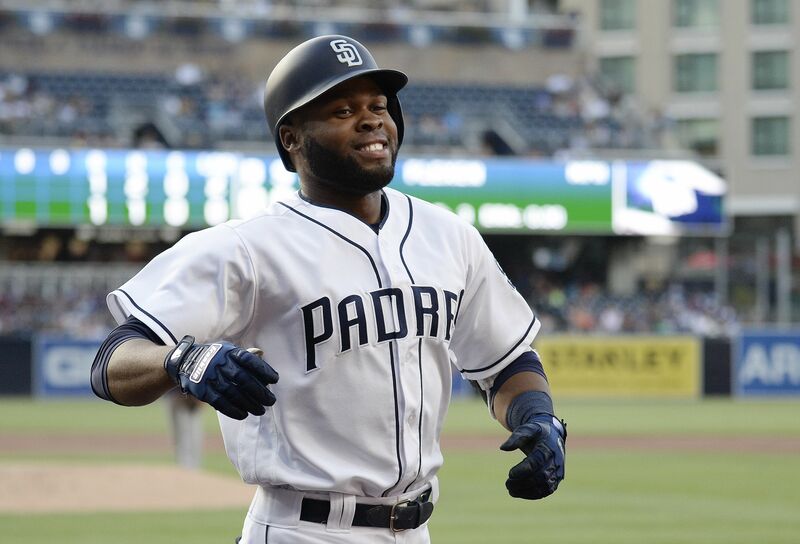 However, hitting with runners in scoring position, or the lack thereof, was a dull spot for the Padres during the game. The team went 2-for-12 with runners in scoring position. The Padres finish up their opening series with the Giants on March 31 with a game scheduled for 1:05 p.m. PDT. 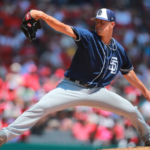 Chris Paddack is scheduled to make his major league debut. 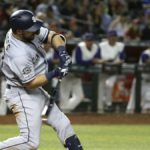 no more message boards on PADRES MLB site ? I miss my Padre pals Harry Ryan Loco is there a new gathering site for bs n chat? ?